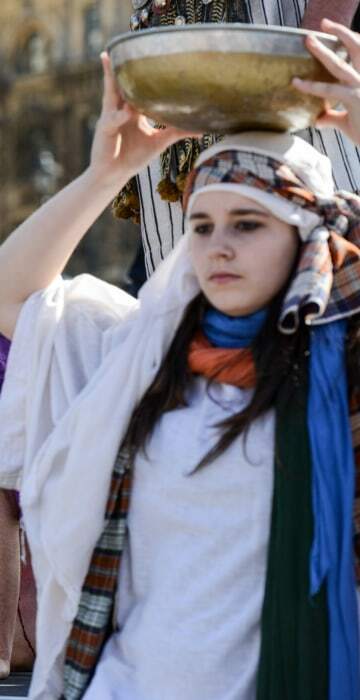 Catholics and Protestants commemorated the crucifixion of Jesus Christ with solemn processions and dramatic re-enactments. 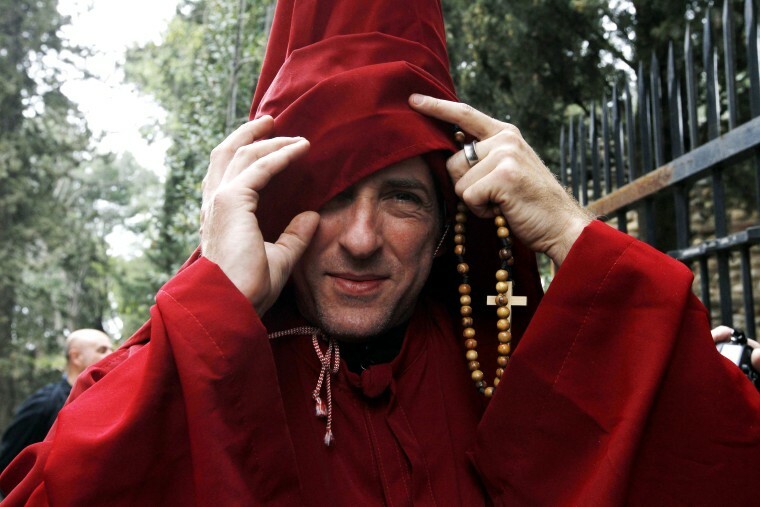 A man takes off his balaclava as he attends the penitent Sanch procession in Perpignan, France on March 25, 2016. 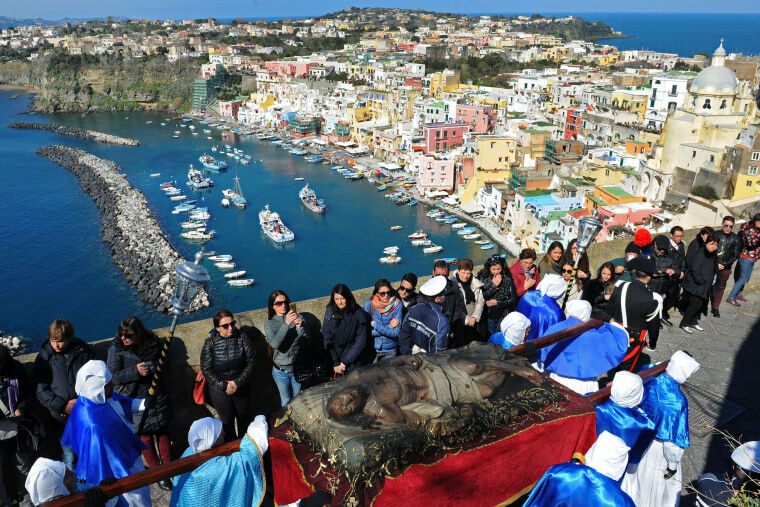 Penitents carry a wooden statue of Jesus Christ, made by Italian sculptor Carmine Lantriceni in 1728 B.C., during a Good Friday procession in Naples, Italy. 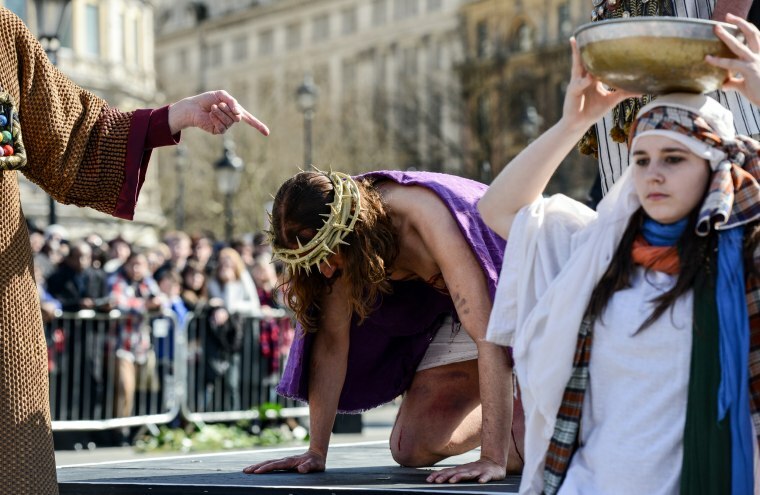 Actor James Burke-Dunsmore kneels carrying a crucifix while playing Jesus on Good Friday at Trafalgar Square in London. The Wintershall's theatrical production of "The Passion of Jesus'" includes a cast of 100 actors, horses, a donkey and authentic costumes of Roman soldiers in the 12th Legion of the Roman Army. 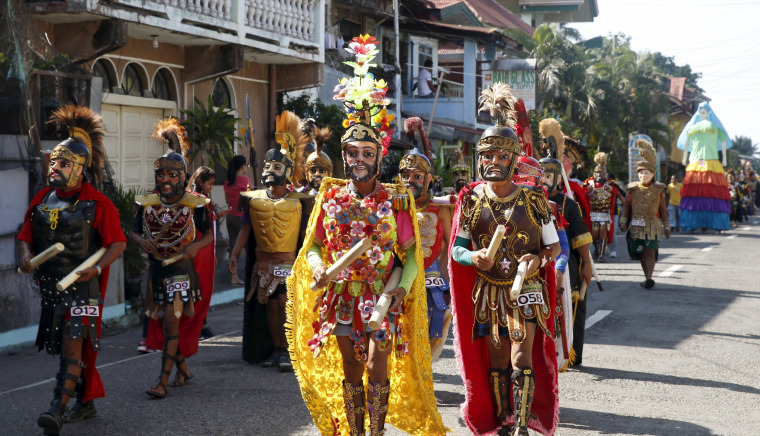 Penitents locally called "Morions" wear masks and centurion garb as they take part in a Good Friday procession in Gasan, Philippines. 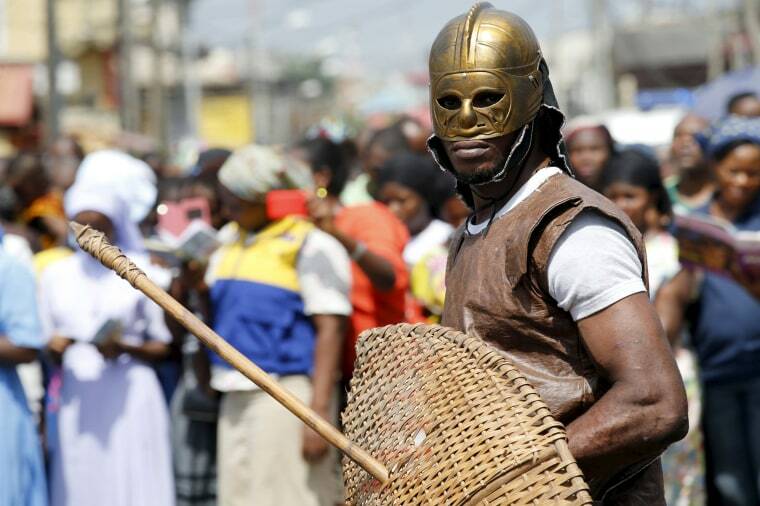 A man dressed up as a soldier takes part in a re-enactment of the crucifixion of Jesus Christ on Good Friday in Lagos, Nigeria, on March 25. 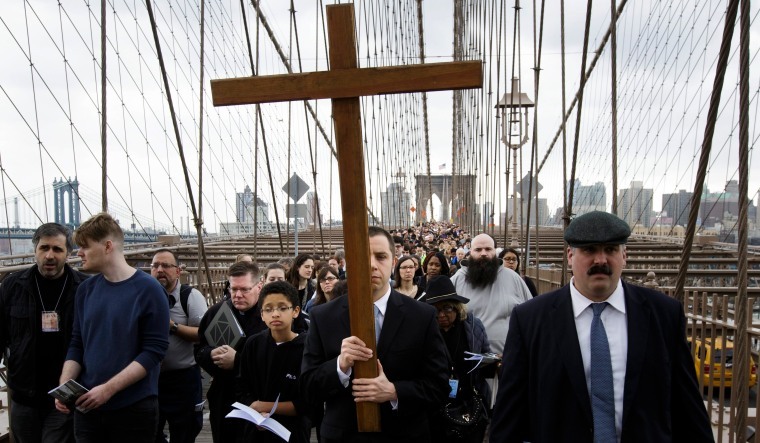 A parade of Christians crosses the Brooklyn Bridge in New York with a wooden cross as part of the Good Friday tradition called the "Way of the Cross." 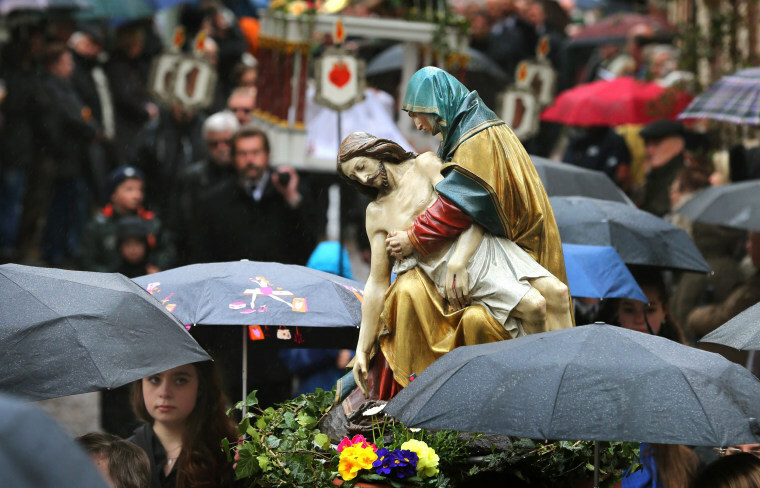 Participants in a Good Friday procession shield themselves from the rain in Lohr am Main, Germany. 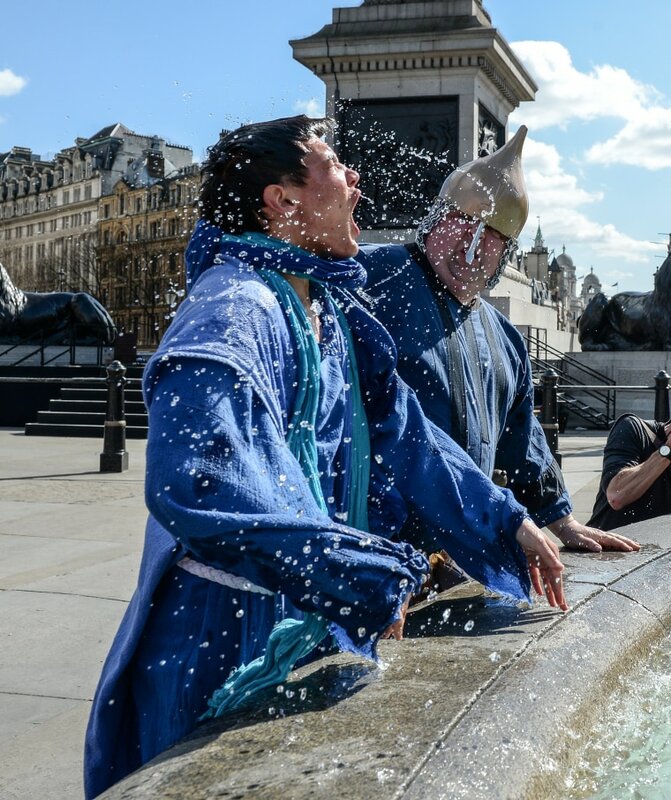 One of Jesus' disciples is dunked in a fountain during "The Passion of Jesus" in London's Trafalgar Square. 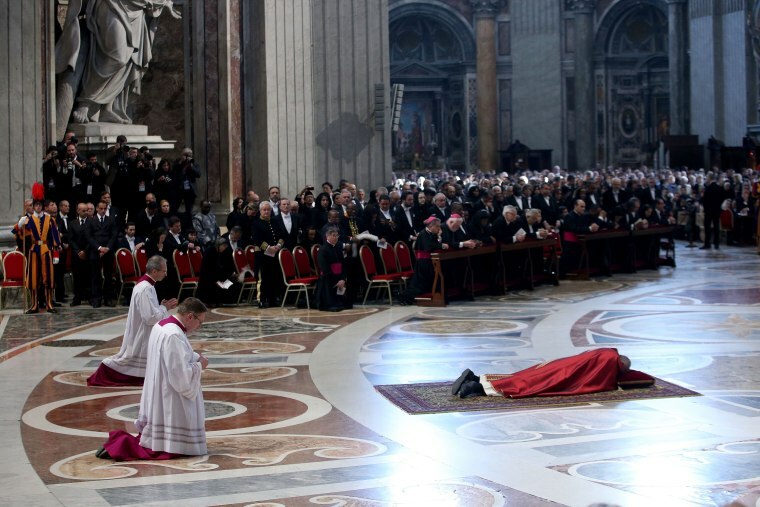 Pope Francis lies on the floor during a Good Friday Mass in St. Peter's Basilica at the Vatican. 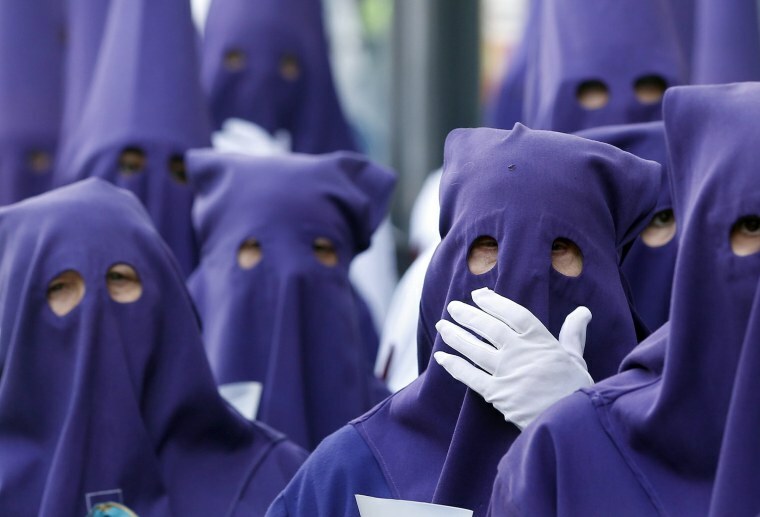 Penitents wait for the start of Good Friday procession in Catalonia, Spain. 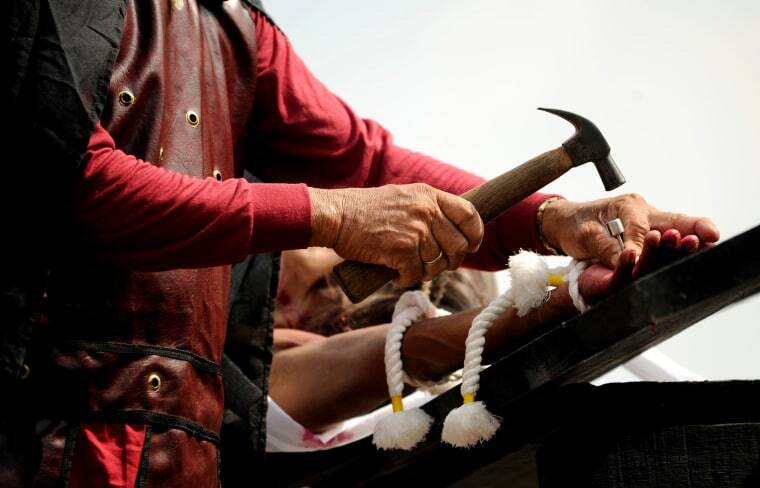 Willy Salvador, 59, is nailed to a cross as part of his penitence during a re-enactment of the crucifixion of Jesus Christ in Pampanga, Philippines.